Are you searching for a space to call your own amid a luxury resort community? 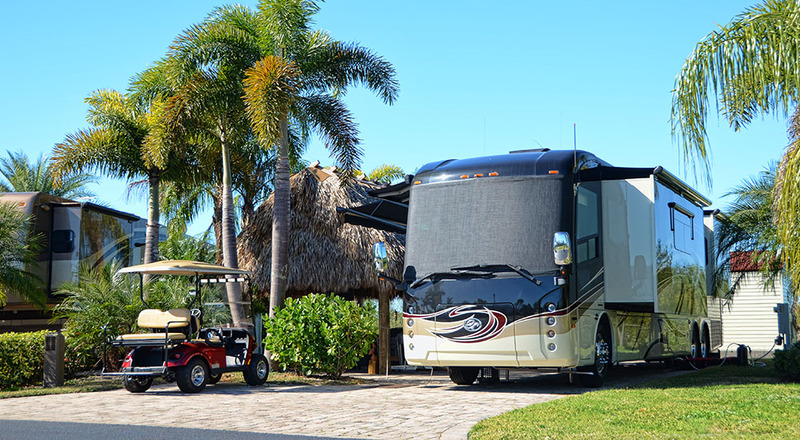 If so, Silver Palms RV Resort has the perfect lifestyle for you. With lakefront, interior and wetland wildlife preserve sites, we offer a variety of lots to choose from. 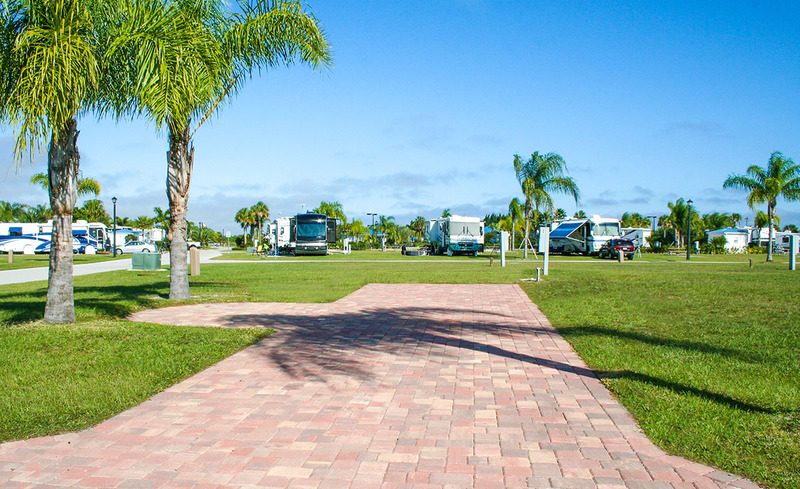 And at Silver Palms, you can customize your lot to fit your personal needs and style. 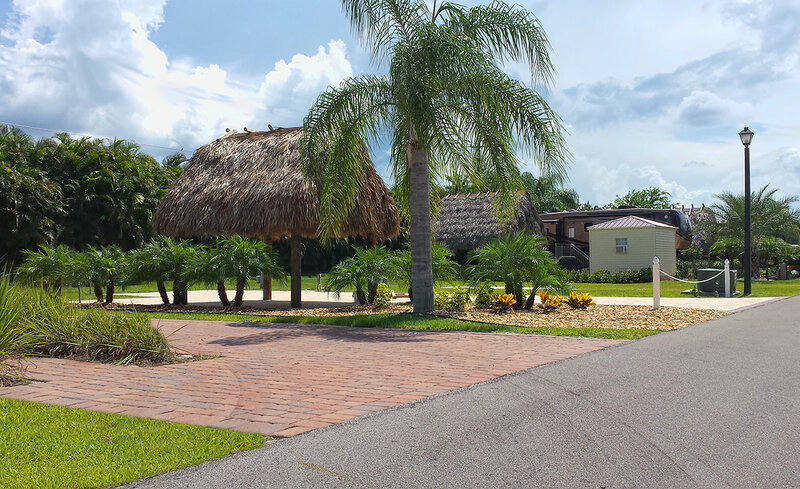 In addition to our customized lots, if you are looking to pull in and start enjoying resort lifestyle, we currently have 12 turnkey lots available for purchase. 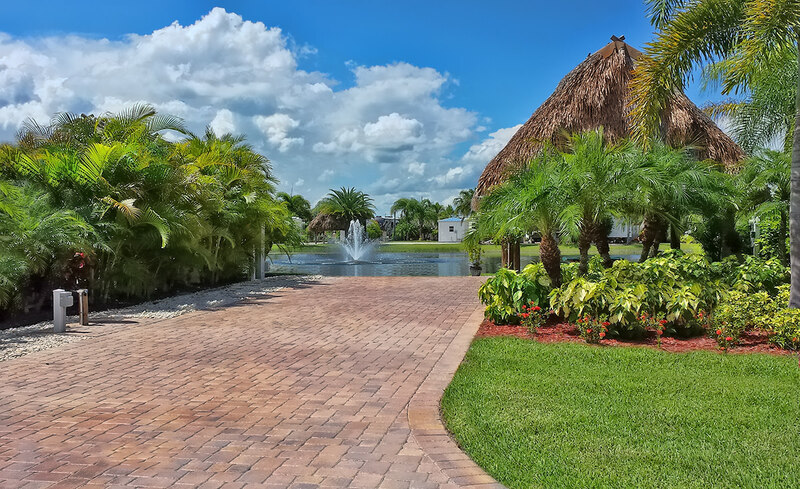 With 1,450 square feet of sprawling pavers, inviting lush tropical landscaping, and beautiful landscaping, our turnkey lots are in a class of their own. With serene views of one of our five lakes, relax to the sounds of our lighted fountains on our lake front sites. Our lakes are full stocked with fish, so dip your fishing pole in, sit back and unwind. Appreciate waterfront living at its best. Offering closest proximity to the clubhouse and all of the amenities that Silver Palms has to offer, our interior sites are an economical way to enjoy the same features of our other site types. Our model lots are awaiting your personal customization. 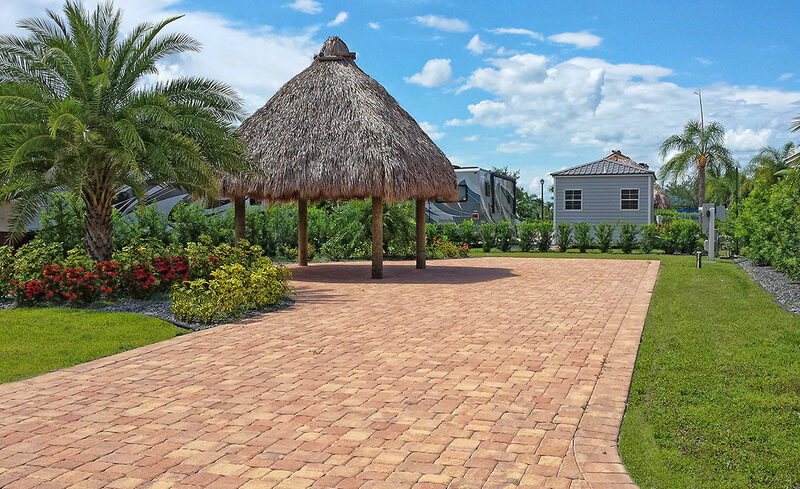 Just pull in to our turnkey sites complete with landscaping, pavers and tikis. Want more? You can further customize your model site with casitas and additional landscaping to attain the lifestyle you desire. We offer privacy sites for those who want to sit back and enjoy the gentle sounds of your beautiful natural surroundings. With our privacy sites, there are only lots on either side of yours, giving you the peaceful retreat that you crave. Enjoy spectacular sunset views from your preserve site. Catch a glimpse of otters and exotic birdlife in their natural habitat. Our preserve sites give you the opportunity to sit back and admire the area's natural beauty. Perhaps you desire an outdoor living area with a tiki hut and fire pit, or maybe an outdoor kitchen and bar are on your “must-have” list. 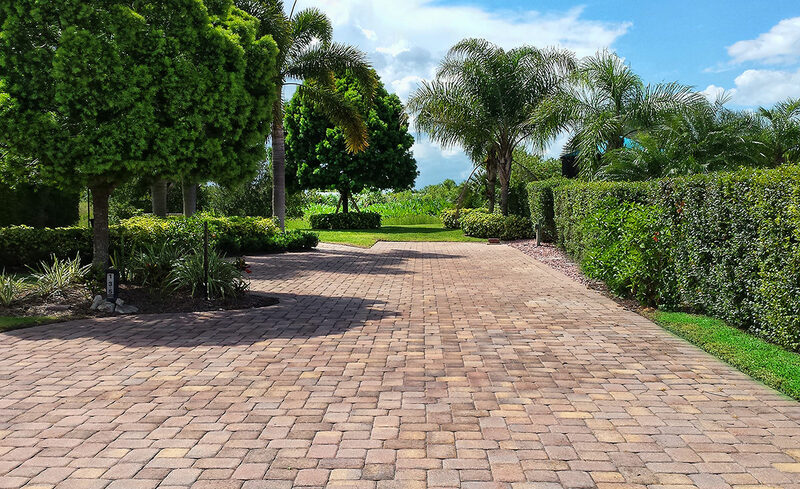 Compliment your lot with a fully appointed cabana or by simply adding decorative stone pavers. Our upgrade and customization options ensure that whatever you dream up can be a reality.